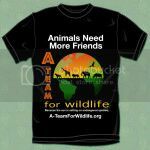 I am a wildlife advocate who is starting a nonprofit environmental education organization, A-Team For Wildlife. My name is Ken Jones, aka. Dr. Jones - "Indiana's brother". I teach and support children in schools to become environmentally literate and pursue excellence in conservation. I do this, not only by providing terrific content via the internet with our amazing website and my conservation podcast, in addition to my custom teaching documentaries, and the inspirational young prodigies of conservation, my International A-Team, but by going to the kids in the schools to teach face-to-face with my School Assembly Programs. Children are half of the world's population. Today’s new generation is increasingly concerned about the state of the world they are about to inherit. Youth of the last generation experienced being invited for the first time, into social movements as participants. Today’s generation is going further, asserting themselves as change-makers; stepping forward as leaders in both social and environmental activism. Kids today are not just joining in, they are taking the lead. In the vigorous pursuit of energy from carbon-based fuels, and historically high profits, the associated pollution of the earth has ushered us into the age of Climate Change. Climate Change brings with it sea level rise, more frequent and more severe storms, food shortages, more severe forest fires, droughts, and more. Consider also that the experts say we have entered what is being called the 6th Mass Extinction, as species are disappearing at a rate 1,000 times faster than normal. Half of the world's species may be gone within the lifetime of our children. Today's children are the last generation who have the opportunity to mitigate these planetary disasters that threaten their future. Sadly, most of today's students are far behind the environmental literacy level required to deal with these challenges. In California, known as one of the largest and most progressive states in the United States, a recent poll of principals revealed that only 13% felt that they had adequate efforts underway to provide environmental literacy in their students! The State Department of Education has just released it's "Blueprint for Environmental Literacy" where it calls for bold action to substantially increase environmental literacy by providing more opportunities for environmental learning in schools. I want to answer that call by providing excellent environmental content and education in schools in America and beyond. Along the way, I will share with you what it is like to start and grow your own nonprofit business - behind the scenes. Up close and personal. As a Patreon partner, I will give you special access to the story of our pursuit. I have spent the last two years without pay, and at my own expense, working to create A-Team For Wildlife. I have created 180 pages of website content, podcasts, videos, organizational documentation, and presentations for schools. Now it is up to you. I need you to carry this forward so that children everywhere can benefit. Your patronage will answer the question, "What can I do to help fight pollution, poaching of wildlife, depletion of our seas, and Climate Change?" "What can you do?" Answer this call for your support at any level that makes sense to you. Thank you for helping this next generation of children to get the environmental education they need to cope with the challenges this last generation - our generation - has left them. If your love is large and your dreams, bold, join our team. Patreon is a crowdfunding service where, rather than having one lump sum up-front total like a Kickstarter, with a time deadline, you sign up for monthly, recurring payments. Think of it like paying a subscription where you choose how much the subscription costs. If you'd like to give us $1/month, that's fine. If you want to give us $5, $10, $25, or whatever amount per month that speaks for you, you can do that, too. Payments are automatic for everyone's convenience. You can stop them whenever you want. The point is that your ongoing contributions will allow our efforts to be ongoing as well. With your help we will know that we can pay our bills. Thank you. If you would prefer to make a one-time lump sum donation, that is very much welcomed, also. You may do so by clicking the "Donation" button on our website, A-TeamForWildlife.org, and using the PayPal service provided. Thank you. I look forward to taking our wildlife assemblies to more schools, producing many more fascinating conservation podcasts, and creating educational videos. I will enjoy taking you with me on all of our adventures getting to know nature more intimately and learning how to better protect her. Thank you! • Thank you with recognition on our website and listing of your email address on our Priority List for exclusive and early notifications. • A personal note from producer and wildlife advocate, Dr. Jones. 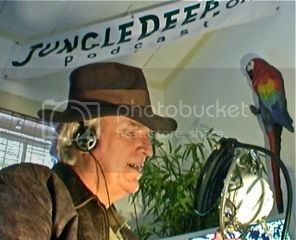 • Invitation to be a guest on the Jungle Deep Podcast. • A personalized, custom video of thanks from some of our young International A-Team members. 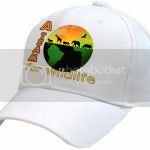 • Both an A-Team For Wildlife Tee Shirt AND Cap emblazoned with our beautiful logo. • I will come and wash your car, walk your dog, babysit your children, and spend the day as your personal assistant. This basic level will allow continuation of A-Team For Wildlife's operations and the resumed production of the Jungle Deep conservation podcast.